Industrialization and globalization have resulted in pollution of all the three ecosystems, including soil, water, and air. Among these, air pollution has generated much interest, since it has a major influence on the transboundary dispersion of pollutants globally. Air pollution tolerance index (APTI) value represents tolerance level of plants which help in selecting the most suitable plant species for plantation in/around affected areas. This parameter in conjunction with Anticipated Performance Index (API) can provide a logical solution for green belt development by considering biological and socio-economic aspect of the species and help in reducing the levels of pollutants. The present study was conducted in Himachal Pradesh, constituting a very vital part of the Indian Himalayan Region. In the present study, APTI and API values of six commonly growing temperate and sub-temperate plant species viz., Quercus leucotrichophora, Rubus ellipticus, Debregeasia saeneb, Hypericum oblongifolium, Punica granatum, and Grevillea robusta, were evaluated along the National Highway-5 in Himachal Pradesh. The highest value of APTI was observed for Grevillea robusta (12.89), followed by Punica granatum (10.87), Debregeasia saeneb (10.50), Hypericum oblongifolium (10.43), Rubus ellipticus (10.18), and Quercus leucotrichophora (9.68). 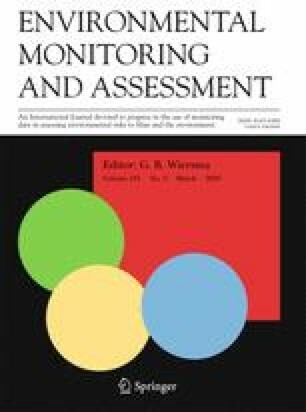 Upon assessment of API, it was observed that Grevillea robusta (62.50%) was the highest scoring plant species in trees, while Rubus ellipticus and Debregeasia saeneb were the highest scoring shrub species (56.25% each) and thus can be recommended for green belt development and attenuation of air pollution in the region. Punica granatum can be suggested for plantation among the native species. Traffic count: http://www.ctre.iastate.edu/pubs/traffichandbook/3trafficcounts.pdf (Accessed on 14th March, 2013).